Attach a Mesh Model to Avastar. 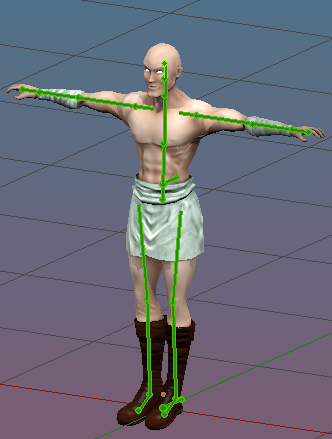 This is the process for attaching a human character model to Avastar that is created in T-Pose. Load your model into the scene (blender supports a number of input formats). Ensure that your Avastar keeps in rest Pose ! Only use Avastar’s shape sliders to get a best fit of both models. Select the Avastar Armature and SHIFT RMB select your Model as well. Open the Tool shelf and there open the Avastar Tab. Set the weight option to Meshes. Keep With Eye Bones disabled. Keep Alter to Rest Pose disabled. 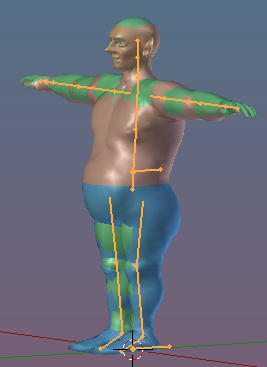 This is the process for attaching a human character model to Avastar that was not created in T-Pose. Put your Avastar into Pose mode. In the next steps you only want to pose the green control bones! 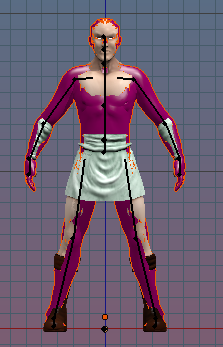 Use the Pose preset in the Rigging Panel to set your armature to Pose mode. This ensures your settings are all right. Repose your Avastar to match the pose of your Model. Also use Avastar shape sliders to get a best fit of the armature and your Custom Mesh. You can modify (Edit) the Mesh directly. 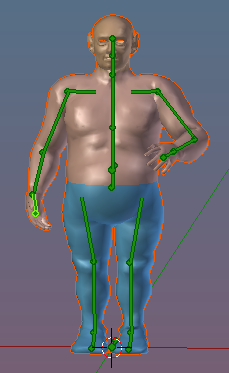 Or you can adjust the Armature by using the sliders and posing the bones. Avastar model posed and shaped to match roughly your character. 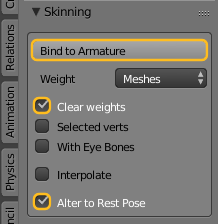 Select the Avastar Armature and SHIFT RMB to select your Model as well. Enable Alter to Rest Pose. 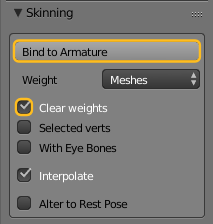 The Bind function creates an Armature modifier for your Mesh and binds the mesh to the armature according to the settings in the skinning panel.